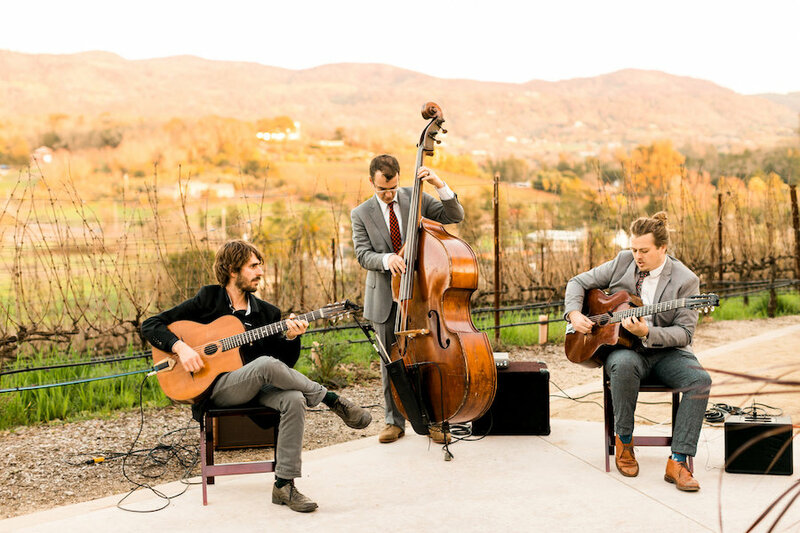 Working with Cultured Vine, a team of Napa Valley locals comprising of wine experts, travel professionals, and event designers that specialize in curating the best experience, ROQUE Events produced and designed a luxurious birthday weekend for their guest. Darrin's elevated birthday dinner at Covert Estate was the perfect combination of a masculine spring design. Tucked away on a steep hillside in the heart of Coombsville, Napa Valley, Covert Estate is a unique terroir perfect for winemaking. This curated experience included exquisite details, a delectable menu and top rated wines. The tabletop design perfectly complemented the striking, ultra-modern building and caves. 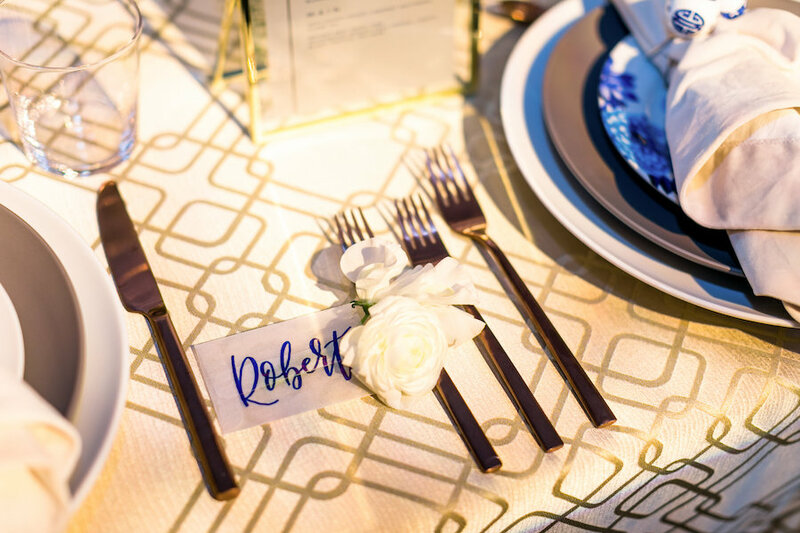 The geometric linens from Ta Tavola Linen paired perfectly with the design. Pops of peach, white, and pink were evident in the floral arrangements. These sleek, individual dinner menus from Laura Lambrix Designs were printed on vellum and displayed in floating glass + brass frames that made a pop against the incredible blooms. Small, hand lettered vellum envelopes held mini bouquets of sweet peas for a unique take on place cards. The menu consisted of red kuri squash soup, sea bass, and braised beef short ribs with sips from Tres Perlas, Promise Wines and Covert Estate. Our birthday boy and his guests were delighted with entertainment, food and wine all night long. Click HERE to see the full feature on PartySlate.